Offered to the esteemed clients is a high quality range of Alloy Steel Tubes at highly competitive prices. These tubes are designed and manufactured by employing the most modern technology and machines that are available at our vendors' end. Moreover, we ensure to make prompt delivery of the ordered products at the clients' end with the support of our wide distribution network. Our product range includes Rifle Tubes and Boiler Tubes for the customers. 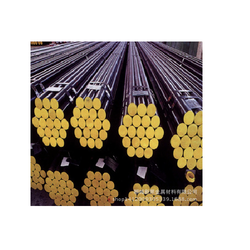 We are engaged in offering the high-quality range of Seamless Alloy Steel Tubes to the customers. These products are widely used to cater to the needs of various industries & sectors like oil & gas, aerospace, petrochemical, aviation, natural gas and others. Moreover, we ensure to deliver these products within the committed time frame at the clients' end. Looking for Alloy Steel Tubes ?